We are one of the best and yummy food center at chetak circle. 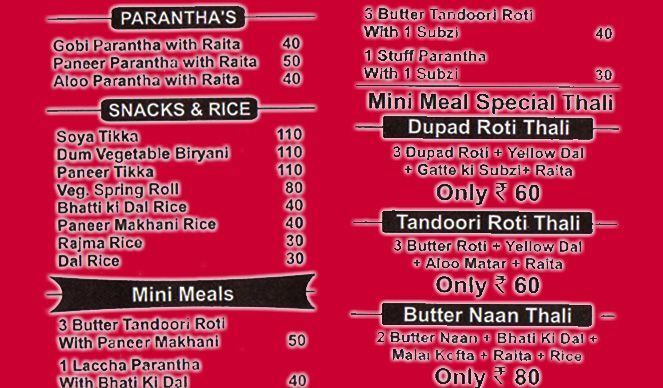 Mini meals is part of Biryani house. Our aim is quality and services. Come and have delicious food, god for you. Our specialty is paneer makhani rice, rajma rice and parathas. We are also providing home delivery, out door catering and picnic hamper. Your orders will be served within 30 minutes. Your orders will be served within 30 minutes.